Dr. McMurray is certified by the American Board of Otolaryngology-Head and Neck Surgery. His clinical practice comprises all aspects of general pediatric otolaryngology, with special interests in pediatric airway reconstruction, dysphagia, and voice disorders. Dr. McMurray provides a wide range of services including Adenoidectomy, Bronchoscopy, Choanal Atresia Repair, Endoscopic Sinus Surgery, Laryngeal Papilloma Laser Treatment, Laryngeal Surgery, Laryngoscopy, Laryngotracheal Reconstruction, Laser Procedures, Mastoidectomy, Neck Mass Excision, Ossiculoplasty, Septoplasty, Sinus Surgery, Tonsillectomy, Tracheostomy, Transnasal Laryngotracheoscopy (Airway Examination), Tympanoplasty, Tympanostomy (Ear) Tube Placement. 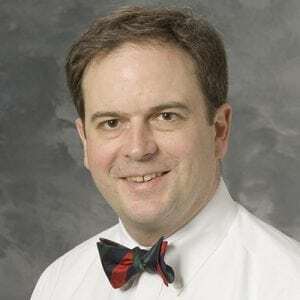 Dr. McMurray has research interests in pediatric airway reconstruction, dysphagia, and voice disorders, as well as the treatment of lymphangioma. Measurement reliability of phonation threshold pressure in pediatric subjects. Simulation of KTP Laser-Based Zenker Diverticulotomy with a Porcine Model and Laryngeal Dissection Station. A Preliminary Case Report of a High-Quality Cost-effective Rigid Laryngoscopy Setup.